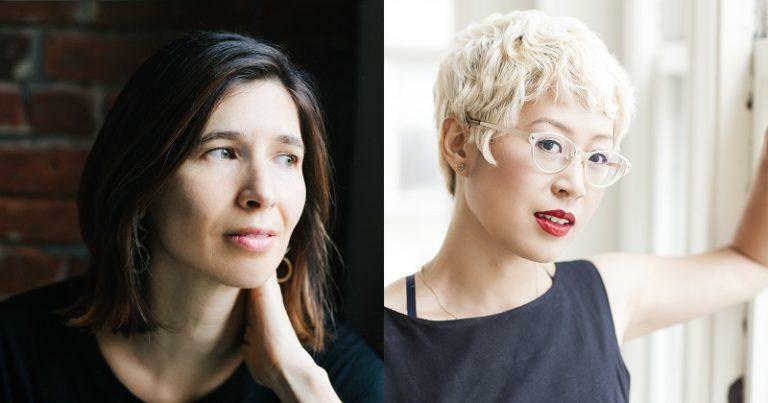 In this episode of the Fiction/Non/Fiction podcast, writers Idra Novey and Esmé Wang talk to hosts V.V. Ganeshananthan and Whitney Terrell about Brett Kavanaugh, Christine Blasey Ford, trauma, and mental health. To hear the full episode, subscribe to the Fiction/Non/Fiction podcast through iTunes, Google Play, Stitcher, Spotify, or your favorite podcast app (make sure to include the forward slashes when searching). You can also listen by streaming from the player below. WT: Because we always say that the news has already been covered in literature, and here you wrote this terrific piece about how the news had already been covered in literature—and the piece is called “The Silence of Sexual Assault in Literature,” and you talk about a number of pieces, but you start with Flannery O’Connor’s “Good Country People,” an amazing story, and you use this phrase, “artful elision,” to describe her method of evoking the silence often imposed by society on survivors of sexual assault. I wonder if you could talk a little bit about that story, and about its strategy of leaving certain things unsaid as a way of indirectly calling attention to the character’s silence and suppressed emotions and memories. IN: Thank you. When I was listening to Christine Blasey Ford’s testimony and seeing the ignorant responses that it generated all over the Twittersphere and elsewhere, especially from the current president of this country, saying “Why didn’t Dr. Ford tell her parents,” and I think that showed the level of ignorance regarding the forces that push people into silence, and I had just spent four years working on a novel about a woman who felt pushed into silence, who had been assaulted by a man who was powerful in college, and only became more so, and for her—she didn’t tell anyone, she didn’t tell her family, she didn’t tell her friends, it was a mix of shame, it was a fear of becoming a pariah, all of these things that I think Dr. Christine Blasey Ford also saw as fears that then were realized, right? She still can’t live in her house, and it’s impacted her whole family. So, I was thinking about if we don’t read these books, or even if people in the country read these books, but they don’t know how to read for that silence, and to understand that behind that silence there is a roar of pain and of something unsaid, that we as a society aren’t willing to hear, that—this conversation that has been on mute in our literature for a long time, we really needed to be talking about that now, and how to be able to hear that silence in what we read, and also in the lives of people around us. WT: That sense also comes through in the O’Connor story, I mean—you talk about the way that the salesman—I remember that story so well, talking about—that it’s the wooden leg that makes her different, and uses this vulnerability against her. I just found that so incredibly powerful. IN: I think it is powerful because I think that’s—often people with a predatorial impulse do. It’s a sociopathic impulse to want to use somebody’s vulnerability, to leverage it in order to have greater power over them, and in Those Who Knew—in the novel I wrote, it’s a very divided country, and although the two activists that are sort of the center of the novel, and their college years, are sort of fighting on the same side, that one of them comes from a family that supported the regime, and so she has this collective complicity, and feels a great sense of guilt about her family’s role in the regime, and so the boyfriend that assaults her uses her shame and her guilt about her family almost like the wooden leg in the Flannery O’Connor story as a way to shame her and to silence her, and that she knows that she will be made a pariah if she speaks up, because he will just traffic in all of these stereotypes that come of anyone that comes from a family like that, but she wasn’t—she didn’t ask to be born in that family, and she has denounced her family’s politics, and risked her life to do otherwise, in the novel, but she’s still held accountable for the decisions of her grandparents—so that’s what he leverages for her silence, and so I think revisiting the Flannery O’Connor story, I was just thinking about how predators leverage a vulnerability that way, and I think it’s often, in fiction, it’s shown subtly—because it’s a very nuanced thing to leverage shame that way. V.V. Ganeshananthan: Thank you so much, Esmé, it’s wonderful to hear you read that essay. I remember it coming out and how powerful it is. The book comes out on February 5th, and your novel The Border of Paradise also takes mental health on really directly, and it seems to me—it’s one thing to have mental health challenges, and another to write about them, and they’re still—you know, you were mentioning giving anti-stigma talks, and I’m wondering how you experience the transition between having a delusion and then writing about it, and then that being published. How did you get through that? Esmé Wang: Yeah, so the first major step I took into deciding that I would be more open about my experiences with mental illness actually began with blogging. I’ve had different personal blogs here and there, but I avoided writing about mental illness, actually, until I was hired at a startup company in San Francisco. I think one of the main reasons I hadn’t been writing about it was that I had previously been afraid of making myself unhire-able and then once I found a steady job, which I kept until I became much too sick to continue, I realized that there was going to be no such thing as a perfect time to speak out about mental health, and its related stigma, so I started to come out about it online, and that was what led to writing the essays. Whitney Terrell: I spoke earlier in the podcast, when Sugi and I were chatting at the beginning, about having anxiety attacks after I came back from Iraq, and how helpful therapy was for me, and just learning that this was a thing that I had, it wasn’t, it was something that could be treated, that you could talk about, you need to think about, that other people had had, that other people had dealt with, and that was so incredibly important for me—I wonder, how do you talk about mental health in the classroom? VG: I think I’d be curious to hear Esmé answer this, since I know you teach in a very different capacity than I do, and I think with a different sense of space with your students. I am often confronted with questions like “Do you believe in content warnings, or trigger warnings,” for example, “How are you considerate of different kinds of material with your students, if your students need space, or some sort of accommodation,” “how can you encourage your students to be generous with themselves, but also to believe that they can do as much as they want,” and, I don’t know, I think on some level I just want my students to know I’m cheering for them. WT: What is the right moment to say to a student, like, you know you can—these services are available, there’s a counseling center at my university, here are things you can do, you know. When is the right time to say time to say that, or is it never the right time? I always am curious about that because you see stuff in students’ work, you see students say things to you, you wonder how—what is the best way as a teacher to interact with these students, because I think this is a fairly common thing for students. EW: Yeah, and I found it bewildering, I thought it was awful, I talked to other students about it, and then I mentioned it—because I was a visiting writer at Michigan just this past month, and I mentioned the memory of that experience to my former thesis advisor and he was saying—Oh, no, a lot has changed in terms of the resources we have now, and we would never say that to a student now, we have a lot of things in place—but I think that kind of speaks to how a lot of colleges and universities don’t have—they don’t tend to have these best practices in place, universally, or through all colleges and universities, so some might be really good at that kind of stuff, when I went to Stanford they approached me right away and said “Do you want to be considered a student with a disability,” because they knew I had bipolar disorder, or what was then diagnosed as bipolar disorder, but I had a much different experience at Yale, and so I think that’s something that is important to recognize as well. Will Mariah Carey’s battle with bipolar II disorder make people reevaluate how they’ve talked about her behavior? The first smart pill that can track if it's been taken is for treating mental illness. Guidelines need to be put in place so it is used ethically.